 New to Cancer Support Community Arizona? If you have never attended programs with us before, the first step is to attend a newcomer meeting. We will walk you through the process and help guide you to programs that are best for you! These groups are intended to provide support by meeting others who have been impacted by cancer. In these groups you can expect to explore new ways of dealing with the stresses of cancer and ways to become an empowered advocate for yourself. Our support groups are all facilitated by licensed mental health professionals. These professionally-facilitated weekly support groups are for people with cancer and a separate group for family, friends and caregivers. Explore new ways of dealing with the stresses of cancer and learn techniques to become partners with your healthcare team. A brief interview is required to determine appropriate group placement. Please call (602) 712-1006. These professionally-facilitated monthly support groups are for those diagnosed with a specific cancer to find support and learn from one another. Discuss aspects of living with cancer, treatment options, side effect management and survivorship. Open to family and friends. Current Learn & Support Groups include:Carcinoid, Lung, Multiple Myeloma, Ovarian, and Pancreatic. These professionally facilitated monthly support groups are for those whose family member or close friend has died from cancer in the past two years. The group will cover stages of loss, reactions to grief, and how to deal with anniversaries and other occasions. This professionally facilitated support group is open to anyone impacted by a cancer diagnosis. Explore ways to deal with stressors of the diagnosis and find support with others in a caring environment. Open to both diagnosed and family. These professionally facilitated support groups are designed for those who are living long-term with a cancer diagnosis or those whose cancer is likely to recur. Find strength and guidance from others who are facing cancer as a chronic disease. Our educational workshops and lectures are designed to help you understand how to manage cancer and its treatment. Experts from various disciplines provide the most updated information regarding cancer care. Become a more informed and active member of your treatment team. This educational seminar will be comprehensive and interactive to discuss Medicare eligibility, costs, coverage, and much more. Medicare benefits will be explained and participants will be able to ask questions on coverage. Dr. Selyne Samuel, MD, a renowned tertiary cancer center, will discuss the latest research in breast cancer treatment, noninvasive breast biopsies, the complexities of genetic testing, and the management of high risk patients. Dr. Maggie Gama discusses the holistic approach to cancer treatment. Dedicated to finding the root cause of cancer in the body, Dr. Gama will share how addressing the mental, physical, and emotional needs of patients is beneficial in treating cancer. Join us to learn about wigs, various wig options, styling, and care information. This is an interactive session discussing everything you need to know, including quality, price and tips to choose hairstyles that look great on you. Various wig styles will be available for you to try so you can get a “heads on” experience. Mindfulness is an ancient practice of being fully present to whatever arrives in life in a way that is curious and non-judgmental. Learn some basic mindfulness practices in this introductory offering. Dr. Sumit Madan, hematology oncologist from MD Anderson, will share insight on the latest updates for Mulitple Myeloma cancer treatment, tips on managing side effects, and answer questions from participants. What is naturopathic medicine, what is naturopathic oncology/integrative oncology, and some information on how we can help patients and their caregivers through the journey of cancer. Programs designed to help you become more engaged in mind-body stress reduction, exercise, nutrition, and health maintenance. These groups involve active participation as you learn skills along your cancer journey. Meditating has many benefits for the mind, body and soul. Experience a new kind of sound therapy that uses a variety of vibration sounds to relax your mind and body. Zumba Kickbox Infusion is a low impact Latin-dance inspired workout infused with kickboxing moves that can be easily modified for beginners or those requiring accommodations. An exercise class designed for all – adults, teens and families. Come dance your way to a healthy lifestyle! Jin Shin Jyutsu is an ancient Japanese Healing Art, assisting the harmonizing of energy pathways in our bodies. One can help eliminate energy stagnation by simply holding fingers and regain health by using hands. Expressive Arts focuses on projects that help members explore the changes and challenges they find themselves in through various artistic methods. No experience necessary. Materials are provided. You have a valuable story to tell! Whether you are newly diagnosed, a many-year survivor or a caregiver, this writing workshop will provide you with various techniques for capturing and sharing your story. Learn how to create easy and affordable dishes packed with antioxidants and flavor while staying on a budget. Recipes and menu tasting included. Open to cancer survivors, family and friends. December 7 – Healthy Chocolate Holiday Treats, January 4 – Plant Protein, January 18 – Ancient Grains, February 1 – Smart Snacks, February 15 – Health Baking, March 1 – Nutrition for Wound Healing, March 15 – Healthy Fats. Thursday, December 13th, 2:00 – 3:30 p.m.
We’ve become a pick-up site for people to have more access to fresh, organic, locally grown fruits and vegetables from Crooked Sky Farms. Current participants are welcome to sign up to receive free produce as part of a give-back program through Crooked Sky Farms. Additional options for purchase are available if interested in getting a full share from the farm. Please see a staff member for more details. Limited space. Picked up your fresh produce from Crooked Sky Farms, but not sure how to use it? This cooking demonstration will teach you how to utilize those fresh fruits and veggies from the garden. Recipes and tasting included. Drumming from the Heart sessions provide a rhythmical and focused space for you to de-stress your mind, body and spirit by using music and guided voice. Led by REMO certified instructor Frank Thompson and psychologist Dr. David Engstrom. These activities are to help reduce social isolation through interaction, play and humor. A time to connect and create new friendships with others who are post cancer treatment. Are you a survivor looking to make new connections? Come join a tight knit group of people who you can relate to. Light snacks, games and refreshments will be provided. Opening Night of "Cancer Survivors Art Exhibit"
For the entire month of January, art work created by and about our program participants will be displayed in the Herberger Art Gallery. Come and check out all the amazing stories and art from CSCAZ participants. Join us for some fun and festive activities this new year! Enjoy seeing some familiar faces along with some new ones. Come and enjoy a cup of coffee or breakfast (breakfast is on your own) and some good conversation with other men in the community. Bring a sack lunch and discuss our book of the month. Come join us for an evening to celebrate, honor and remember those who have been impacted by cancer. Champions celebrate their connection to cancer by receiving a ‘clay heart of hope’ that they can inscribe with a message of strength, remembrance and love to be placed on our Tribute Tree. Come join us for some fun and festive activities for the fall! Come to the house and enjoy seeing some familiar faces along with some new ones as we gather together to socialize. Led by Giai Tat, create a beautiful wall hanging by threading string through nails hammered into wood to make a colorful outline! Each participant will leave class with an art piece. Sign up quick, space is limited. For more information about our youth, teen and family program, please contact Carrie Cantrell at (602) 712-1006 or ccantrell@cscaz.org. Our Teen Program is presented by The Bidstrup Foundation. Bring your whole family to get artsy for this monthly tradition! October- carving and painting pumpkins; November- homemade clay ornaments and luminaries; December- painting ornaments and luminaries. Snacks are provided. Do you play Fortnite, COD or GTA? Come nerd out with us and play your favorite videogames and board games with your CSCAZ friends. Snacks are provided. Pouring yourself a bowl of cereal does not count as cooking. Come learn some new cooking skills and recipes you can impress your friends and family with. Plus, you’ll get to sample the dishes! Thanksgiving is a time to celebrate our friendships as much as our families. Join CSCAZ and Amanda Hope’s Rainbow Angels for our first annual Teen Friendsgiving! We’ll enjoy typical Thanksgiving food and if you’re able, bring your favorite sweets to share for our dessert potluck. Bring your appetite and a friend!. Say goodbye to 2018 with old and new CSCAZ friends at our Teen Holiday Party! Test your decorating skills in our gingerbread house competition and indulge in some holiday treats with us. KidSupport Group is a support group that meets once a week for six weeks and teaches children tools to cope with cancer diagnosis in the family. Snacks are provided. Registration is required. Youth impacted by cancer are invited to enjoy this fun exercise and wellness class! We’ll shake it up with some Jin Shin Jyutsu, a Japanese relaxation technique, kid-friendly yoga and Zumba. All exercises are modifiable to the participants’ abilities. Bring the whole family and come learn a new creative craft. Light refreshments and snacks will be provided. (Traiga toda la familia y aprenda una nueva manualidad artística. Bocadillos y refrescos serán proveídos. Clase en ingles). The whole family is welcome to enjoy this Halloween party, CSCAZ style! There will be trick or treating out of decorated vehicles, yard games, Halloween crafts and a costume contest. Bring a photo of a loved one who has passed for our Dia de los Muertos altar. Dinner is provided. Our friends at Ryan House will share with us the ins and outs of respite care for children with cancer and other life-threatening illnesses. Come learn about their services and how they can support and provide relief to your family. Lunch is provided. After learning about their services on December 1, we will take a field trip to visit and tour Ryan House’s beautiful campus and learn more about the services and support they can provide to your family. Some Programs in the East Valley are offered at Desert Botanical Garden , which honors Melodie Lewis whose passion helped to bring support for those impacted by Cancer to the Garden. Additionally, Programs are offered at Via Linda Senior Center in an effort to be more accessible to East Valley residents. Programs in the West Valley are offered at Bellevue Heights Church, Benevilla Family and Resource Center, Peoria Community Center, and a number of Sun Health Locations. Susan High, LPC licensed counselor and certified Yoga/Mindfulness Instructor, will lead an interactive session on mindfulness – reducing your stress and increasing your sense of well-being. This professionally facilitated support group is open to anyone impacted with a cancer diagnosis. Explore ways to deal with stressors of the diagnosis and find support with others in a caring environment. Dr. Selyne Samuel, MD, a renowned tertiary cancer center, will discuss the latest research in breast cancer treatment, noninvasive breast biopsies, the complexities of genetic testing and the management of high risk patients. Nuestros servicios son siempre 100% gratuitos para quienes están en su viaje contra el cáncer y sus familias. Presentación se enfocará en los recursos disponibles del cáncer de seno y podrá hacerle preguntas a un experto del hospital. Bocadillos y bebidas incluido. ¡Vivir saludable es muy importante! En estos meses aprenderemos a cómo manejar el estrés y como movernos para sentirnos mejor con Johanne Lauktien, instructora certificada. Digamos “¡Buenas!” con la lotería. Vengan a divertirse con su familia y amigos mientras jugamos lotería y le damos vuelta al juguete tradicional de México, la pirinola. Explore nuevas maneras de manejar el estrés del cáncer y aprenda de las experiencias de otros pacientes y sus familias. Cuarto lunes del mes: 23 de julio, 13 de agosto, 10 de septiembre. ¡Comer saludable es muy importante! En estos meses aprenderemos a cocinar sabroso con Mari, Nutrióloga. ¡Piñatas, música, familia y más! Qué bonita es la cultura Latina. Acompáñenos a celebrar diferentes culturas Latinas con comida, juegos, y entretenimiento. Este taller informativo le va ayudar entender la importancia de una vida saludable. El taller se enfocará en nutrición, con una demostración de comida, técnicas de relajamiento y mucho más. Almuerzo incluido. Palabras de cariño duran toda la vida. Venga y escriba cartas de apoyo para las familias con cáncer que están internadas o para cualquier persona que le brindo apoyo a usted durante los tiempos más necesarios. Clase en español e inglés. We know that you can’t always make it to one of the programs listed above. to better facilitate participation, we have added VIRTUAL support! This free online resource allows you to access services 24 hours a day, 7 days a week! CanSurround includes medical checklists, journaling, relaxation exercises, thought records, educational resources and more. Jasgit Sachdev, MD, Director of Breast and GYN Early Trials at HonorHealth Research Institute leads this informative discussion around the specific needs that women facing metastatic breast cancer face. Learn about treatment options, managing side effects and the latest research information. Note: There will be both an in-person presentation and an opportunity to join via Facebook Live. Dr. Natalie Godbee, DO, Gynecologic Oncologist with Cancer Treatment Centers of America discusses why HPV prevention is so important and how it can impact a future cancer diagnosis.